BCCM has developed the following tools to assist in developing and running co-operatives and mutuals. 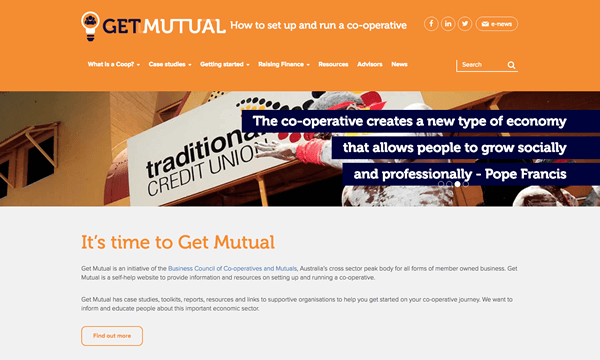 Get Mutual is an initiative of the Business Council of Co-operatives and Mutuals, Australia’s cross sector peak body for all forms of member owned business. Get Mutual is a self-help website to provide information and resources on setting up and running a co-operative. Get Mutual has case studies, toolkits, reports, resources and links to supportive organisations to help you get started on your co-operative journey. We want to inform and educate people about this important economic sector. 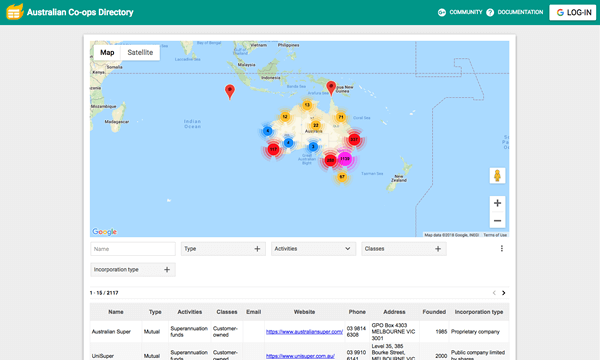 The Business Council of Co-operatives and Mutuals’ Australian Co-operative Directory allows you to search for any Australian co-operative and discover their name, co-operative type, industry, website, contact information and when they were founded. There are over 2100 co-ops in the directory. 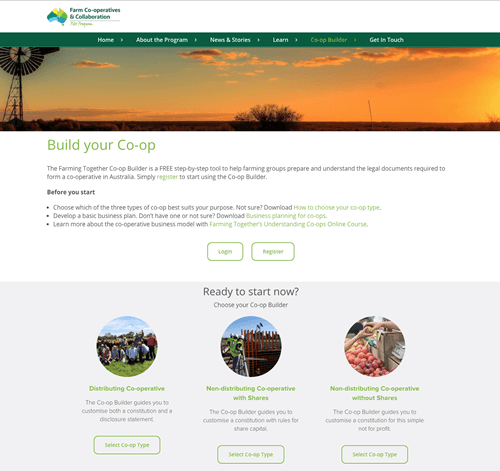 A major barrier to farmers setting up a business with other producers was knocked down in June 2017 with the launch of a free, online tool – Co-op builder – that they can use to register their business as a co-operative. The Co-op builder is an online template for the legal documents required to set up a co-operative in Australia. It has been developed by the peak body for co-operatives, the Business Council of Co-operatives and Mutuals (BCCM) for the Farm Co-operatives and Collaboration Pilot Program (Farming Together), a federally funded, two-year pilot to enhance the expertise available to farmers wanting to establish agricultural co-operatives. The builder consists of three Constitution Builders to help prepare the rules for a co-operative, and one Disclosure Statement Builder, which helps users prepare the co-op equivalent of a prospectus for potential members and investors. The builder is suitable for three types of co-operatives: distributing co-ops, non-distributing with shares and non-distributing without shares. Accompanying the Builder is Farming Together’s online courses which aim to develop collaborative understanding in Australian agriculture. The first course aims to help people understand the variety of collaborative models, particularly co-operatives, prior to formation. It is designed for our farming groups and consultants and is currently open for FREE to the public. 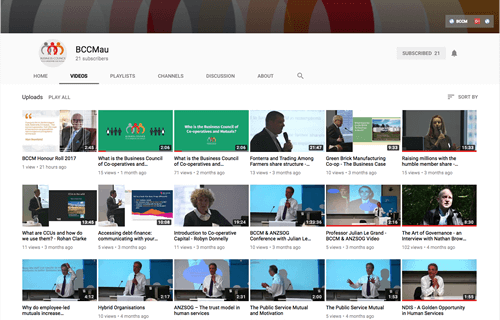 Watch videos from past BCCM Summits, events, workshops and other activities. Also browse our Playlist to view Favourites from around the globe.